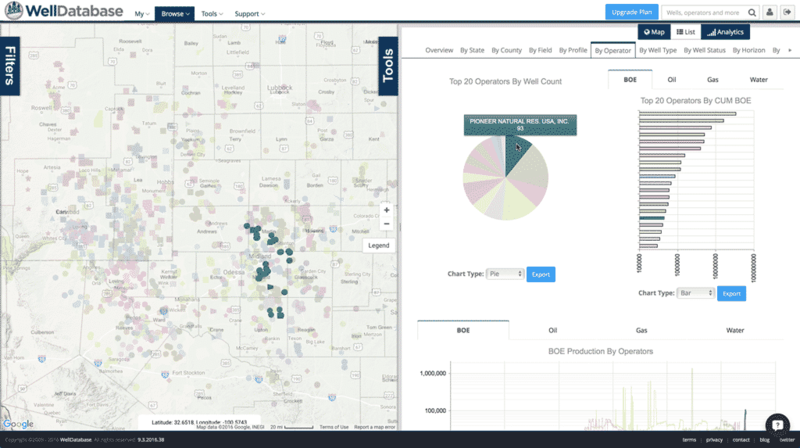 Exploration and Production companies drive every part of the oil and gas industry. The decisions you make and the technology you use set the tone for the entire industry. 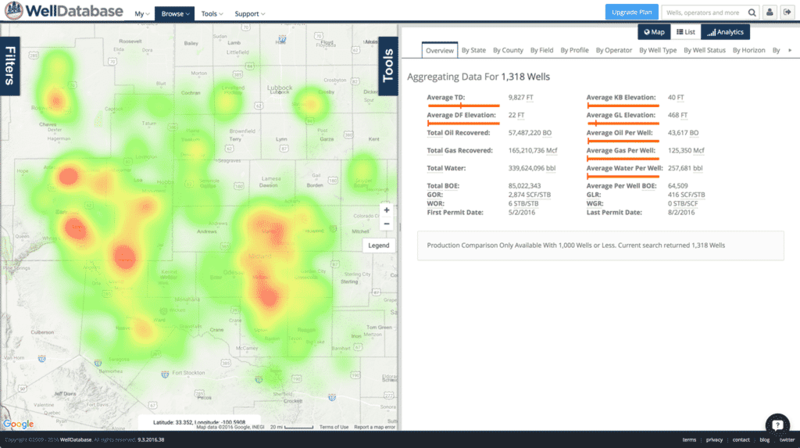 WellDatabase is a unique platform that combines the standard oil and gas data with next generation tools. WellDatabase can help you succeed in all aspects of your work. You need to know what is going on. Who is permitting where. Who is completing what. Who is doing nothing at all. WellDatabase can help develop a clear picture. 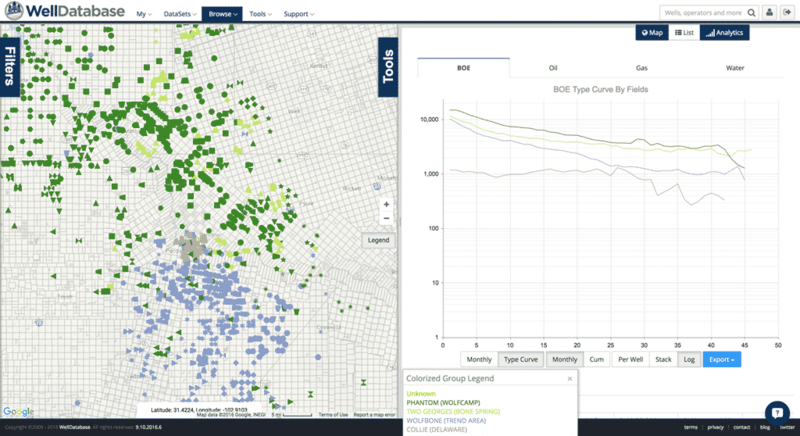 See where the activity is with interactive heat maps, color-coded operator maps, and more. No matter what the price of oil is, there are always prospects. You have to evaluate them and you have to do it fast. 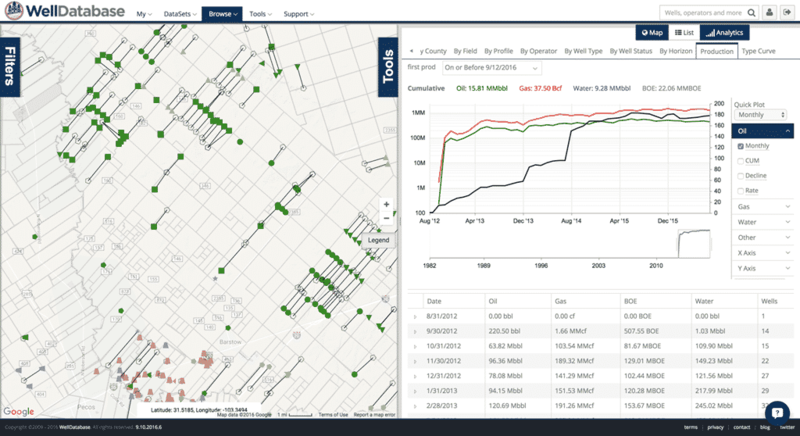 WellDatabase can give you an unbiased view of the asset within minutes. You know what you’re producing, but what could you be missing? What are the other wells around you doing? Which service providers are making a difference? 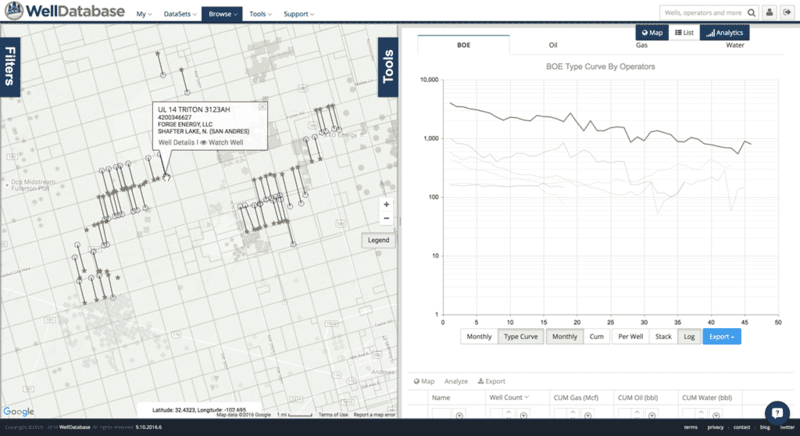 WellDatabase can give you the insight to understand what is producing and why. You read the press releases. You hear the rumors. You know that things are not always what they seem. What are other operators really doing? WellDatabase gives you a complete picture of what your competitors are doing. 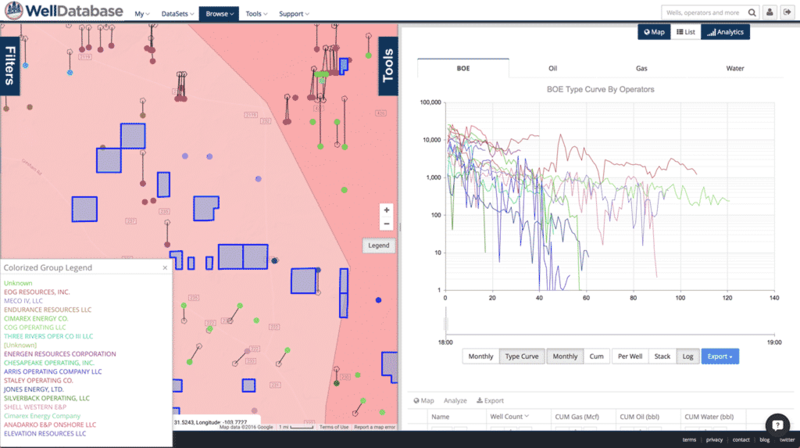 From permits to production to frac information, WellDatabase gives you the unbiased information you can use to gain a competitive advantage. You will explore and produce. You will succeed. WellDatabase is the platform that can give you the data and tools to make it happen.